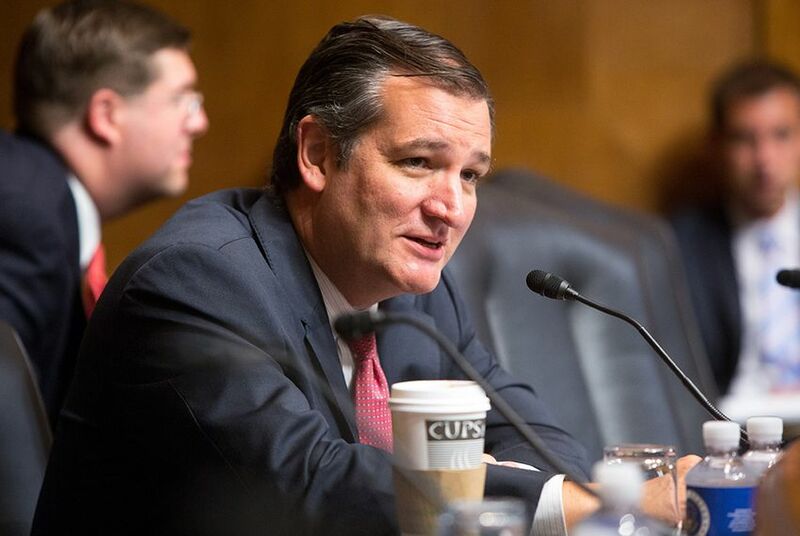 U.S. Sen. Ted Cruz said Wednesday that he has "significant concerns" about the new House health care plan, though he's optimistic those differences can be resolved. U.S. Sen. Ted Cruz gave a pessimistic prediction Wednesday for the new House Republican health care bill's chances in the Senate — though he said the bill's fate would be improved with some changes. "The current draft in the House is a draft about which I have significant concerns," he told reporters on a conference call. "As drafted, I do not believe this bill would pass the United States Senate. But I am encouraged and optimistic that we can resolve these differences." Cruz's comments come hours before he and his wife, Heidi Cruz, are scheduled to have dinner at the White House with President Donald Trump and First Lady Melania Trump. Cruz said the purpose of the dinner, which was arranged several weeks ago, is “social” but that he expects the health care plan to come up. Several Texan Republicans in the U.S. House are working feverishly behind the scenes at Capitol Hill to move the bill through their chamber, including House Ways and Means Committee Chairman Kevin Brady of The Woodlands, U.S. Rep. Michael Burgess of Lewisville and House Rules Committee Chairman Pete Sessions of Dallas. Cruz's gentle criticism is a further indicator that there are no assurances a health care overhaul will pass into law. Republican leadership in both chambers could feel a squeeze between senators whose home states lean heavily on Medicaid funding and conservative factions who demand nothing short of a full repeal. In contrast with Wednesday's diplomatic tone, Cruz promised as a Senate candidate in 2012 to "throw my body in front of a train to stop anything short of its complete and total repeal." “I’m glad that the House of Representatives has introduced their legislation to repeal Obamacare," he added, in his Wednesday remarks. "Yesterday, President Trump tweeted that this bill was now open for negotiation, and I think that is exactly right. There are vigorous debates that are ongoing [in Congress] about what the contours of this legislation should be." "My focus is on rolling up my sleeves and working hard to improve this legislation," he said. Cruz is in a tight spot, politically speaking. He and Trump fought bitterly for the GOP presidential nomination. It was an acrimonious relationship that played out well into the fall, until Cruz eventually endorsed Trump for the presidency. It appears, at this point, that Cruz will face nominal primary competition in his 2018 re-election bid. But the ire of Trump — and his capacity to convey those sentiments — is an overarching worry among GOP members of Congress. Most members who are willing to comment on the new bill are cautious, facing a tough calculation: balancing Trump's full support of the bill and opposition from outside conservative groups. Those same groups, who were key backers to Cruz's underdog 2012 Senate race, have responded to the new bill with fierce criticism. Texas' senior senator, John Cornyn, has been more positive in his assessment of the House plan, calling it a big step in the right direction. Speaking Wednesday with reporters, Cornyn declined to handicap the proposal's current chances in the Senate but voiced confidence that conservative holdouts would eventually get behind it. "I know Sen. Cruz and other members want to get to yes because they understand the importance of the promises we made and the consequences of not keeping those promises," Cornyn said. "Everybody's being given an opportunity to make suggestions or participate." The newly proposed federal health plan brought uncertainty to Texas.